In his 1988 CBC Massey Lecture, Noam Chomsky inquires into the nature of the media in a political system where the population cannot be disciplined by force and thus must be subjected to more subtle forms of ideological control. Specific cases are illustrated in detail, using the U.S. media primarily but also media in other societies. Chomsky considers how the media might be democratized (as part of the general problem of developing more democratic institutions) in order to offer citizens broader and more meaningful participation in social and political life. Chomsky tells us that corporations control the government and own the media. U.S. international relations are directly affected and influenced by the whims of multi-nationals; namely the desire for inexpensive production and inexpensive resources, exploiting civilians and foreign lands to achieve these means. The government is in the pocket of these multi-national corporations. The average American has little say. Yes, we may vote, but we vote for one party with two factions: red and blue. This party solely represents the interests of the rich oligarchs and the multi-national corporations. Chomsky argues that propaganda is very much alive and well and extremely sophisticated. It is a "necessary illusion" kept up by the elitists (which are people that are—or that serve—the ruling class which is composed of politicians both Republican and Democrat, corporations, newspeople, scholars, neocons, shadow government people, oligarchs) to limit the collective voice of the "people." Everything that will be said by the news establishment will ultimately conform to the government/business line of what should be the truth—a.k.a. truthiness. 'You will respect my authoritah!' Is Trump merely Cartman 62 years later? Or is that thought a thoughtcrime? As Chomsky sees it, "A challenge to the underlying patriotic assumption is virtually unthinkable within the mainstream and, if permitted expression, would be dismissed as a variety of ideological fanaticism, an absurdity, even if backed by overwhelming evidence – not a difficult task in this case. Case by case, we find that conformity is the easy way, and the path to privilege and prestige; dissidence carries personal costs that may be severe, even in a society that lacks such means of control as death squads, psychiatric prisons, or extermination camps. The very structure of the media is designed to induce conformity to established doctrine. . . . the media serve the interests of state and corporate power, which are closely interlinked, framing their reporting and analysis in a manner supportive of established privilege and limiting debate and discussion accordingly." He goes on, "We have studied a wide range of examples, including those that provide the most severe test for a propaganda model . . . to my knowledge, there is no serious effort to respond to these and other similar critiques. Rather, they are simply dismissed, in conformity to the predictions of the propaganda model. In 1981, Samuel Huntington made the point that you may have to sell [intervention or other military action] in such a way as to create the misimpression that it is the Soviet Union that you are fighting. That is what the United States has done ever since the Truman Doctrine—an acute observation, which explains one essential function of the Cold War." Acknowledging U.S. power, elites planned to construct a global system that the United States of America would seek to dominate. This global system would champion U.S. business interests. In this imperialistic fantasy, a Grand Area of the global system—our Empire—would be subordinated to the needs of the U.S. economy. Chomsky looks at how the U.S. created the Cold War and used it to frighten the public about the commie threat so they could spend more on armaments and missiles. The people wanted peace and low taxes. 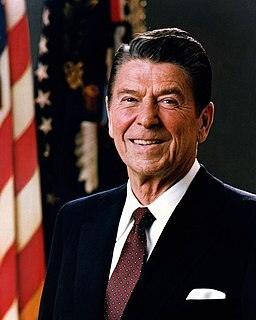 What they got was high taxes and the Korean War and scare tactics about the Evil Empire, which was a classic case of the pot calling the kettle black, given Reagan's South and Central American and African military adventures that were spun as neutralizing the USSR's communist conspiracy to conquer the world. The domino theory says that if one falls they all fall (to communism). Korea was a theater where we fought the commies to a standstill that divided the country into two parts. Cuba was a country where the U.S. tried to exploit them but the commies offered a more attractive option and they took it. So the U.S. was humiliated and vengeful and indulged in terrorism there many times, solidifying forever the Cuban's attraction to communism. Woodrow Wilson used his Red Scare tactics to disempower unions and engage in the suppression of independent politics and free speech, based upon the principle that our government is entitled to prevent improper thought (it isn't, of course, but the elites had been brought up entitled so why not try thought control?). The novel 1984 wasn't published until June 8, 1949, so Wilson's propaganda extravaganza was ahead of its time by 30+ years. Wilson got us through WWI and at home created the Espionage Act of 1917 and the Sedition Act of 1918, suppressing anti-draft activists. Even though Wilson said he was making the world safe for democracy, examination of his fascistic suppression of free speech and dissent and unionizing showed he was doing the opposite. Another elitist paying lip service to democracy while undermining it at every turn! Chomsky looks at the ironies and hypocrisies of elites' words versus elites' deeds in this era, showing how they not only didn't walk their talk, they walked the opposite of their talk. Chomsky traces this incredible collection of lies and propaganda. There was enough fake news back then to make a Donald Trump blush. The New York Times was one of the best propaganda tools in our elites' propaganda campaigns about Central America. They bought all the lies fed to them by Reagan's flunkies and the CIA, so they ended up condemning the Sandanistas which were decent and freedom loving, while championing the contras, who were brutal, murderous thugs. Yet Reagan went out of his way to funnel money to them, aided by Ollie North, so they could "save the country from the rotten, horrible Sandanistas." Ollie sold weapons to Iran in an effort to help fund rebels and got in big trouble. So did Reagan, but when questioned he developed amazing memory problems—he just couldn't recall! Suffice it to say the entire Nicaraguan mess was classic ugly American: the U.S. exploits and wrecks a country out of greed while telling the mainstream media lies which they did not question, and any investigative journalists who wrote the truth had the stories deleted and they got in trouble. The Sandanistas had given Nicaragua programs of development, preventive medical care, and welfare that had offered hope to the poor majority for the first time, but the contras' campaigns of terror wrecked these things. What gave the thugs from the United States the right to come into Nicaragua and pay contras to conduct terrorism, wrecking the country, torturing or killing the dissidents, wrecking all the benevolent social programs, putting the country in debt, robbing their resources, interfering with their legitimate leadership? Nothing did. But when greedy corporatocracy oligarchs from the U.S. decide they want to rob a banana republic, they tell the CIA and then proxy terrorists are hired, authoritarians are installed in the illegitimate government to do the will of the corporation, and let the exploitation begin. This is bullying of the small by the big, and it is shameful. It is a blight on our historical record that fails to show up in history books, which are pressured to spew the party line, the CW, the cover stories. But there are history books that are brave enough to tell the truth: The Secret History of the American Empire: Economic Hit Men, Jackals, and the Truth about Global Corruption and The Concise Untold History of the United States. The World Court condemned the United States for supporting contra terror, but the U.S. merely laughed. Then the U.N. Security Council condemned the United States for supporting contra terror, but the U.S. merely laughed. Then the U.N. General Assembly condemned the United States for noncompliance with the World Court ruling, but the U.S. merely laughed. This vote condemning the United States for noncompliance with the World Court ruling to cease supporting contra terror would have been shocking news in the U.S. except that it was not reported. What WAS reported was that the salaries of U.N. workers were far too high! Left-wing Sandinista leader Daniel Ortega made his political comeback in the November 2006 elections and he has served several terms, and he was re-elected in 2016. He is once again helping his people, in spite of how psychotically strongly the U.S. hates this idea. The U.S.-Nicaragua tragedy is one of the most shameful episodes in U.S. history. Too bad the truth is not to be found in this country, even though most of the world does know—and hate—this truth. Africa fared no better than Central America. The overall, long-term African policy the U.S. empire building neocons manifested was designed to access and plunder Africa's wealth at the expense of its people—especially diamonds, oil, minerals and natural gas. This book, Necessary Illusions: Thought Control in Democratic Societies, makes a great addition to The Secret History of the American Empire: Economic Hit Men, Jackals, and the Truth about Global Corruption and The Concise Untold History of the United States for understanding the huge difference between what our media and history books tell us happened between the U.S. and the world—especially Central America and especially in the last half of the 20th century—and what actually happened. The Secret History of the American Empire was written by a man who helped the U.S. elites exploit and corrupt many Central America countries, for which he is trying to atone by telling the truth about what was going on. Needless to say, he quit in disgust once the full picture of the country wrecking came into view. The Concise Untold History of the United States was written by two men of great integrity who researched what really happened in the last half of the 20th century as opposed to what we were told happened in the media and history books. Finally, Necessary Illusions: Thought Control in Democratic Societies tells the astonishing story of elites spending the last century (since 1915) using propaganda to control the media and therefore the public's cooperation with elite empire building plans which greedy elite oligarchs use to rob not just the citizens of other countries but of the U.S. as well. The idea is to accumulate as much wealth and power and control as they can. Democracy—an American Delusion to divest yourself of the delusion that we have a democracy. If everyone knew everything found in these three books, we'd ALL "feel the Bern" and Bernie Sanders would have been elected, but when he refused to do the bidding of the Shadow Government, he'd have an "accident" and one of the elites willing to play ball would take his place, so we'd be right back where we started. As long as elite shadow government neocons rule, political solutions will not succeed. But if you read this whole website and the novel, you'll know what to do. In the meantime, resist oppression and never give up.